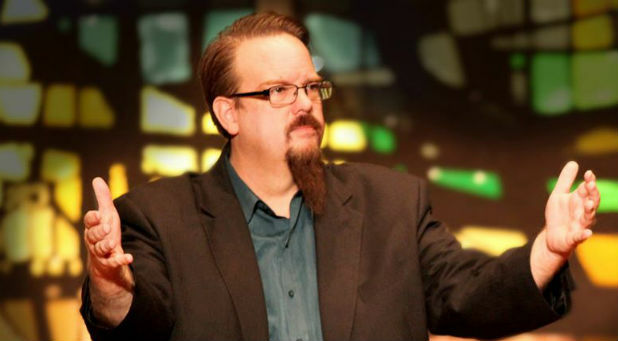 Ed Stetzer helped to host a meeting of 50 prominent leftist evangelicals, who gathered to discuss how to turn evangelicalism to the hard left. Some of those invited, however, left because they saw it for what it was. Pulpit & Pen reported on Tuesday that evangelical leftists, some of whom are financial recipients of globalist financiers, George Soros and James Riady, recently gathered at Wheaton College to game-plan how to turn evangelicalism to the hard left. Our reporting, as usual, was proven accurate as several attendees at the invitation-only event left the venue when they saw the real political intentions of the organizers. In the meantime, these same evangelical “thought leaders” – aka the Evangelical Intelligentsia (EI) – have gathered at Wheaton College to discuss how to shift evangelicals away from supporting conservative politics in the name of “saving evangelicalism.” Yesterday and today – April 16 and April 17, 2018 – these leaders are in a closed-door meeting that, according to the Washington Post, was organized by avowed Marxist and Gospel Coalition co-founder, Tim Keller. Approximately 50 such leaders from the EI are discussing the best ways to shift evangelicals away from supporting conservatism, and they include Keller, Ed Stetzer, A.R. Bernard (the pastor who very publicly resigned from Trump’s faith advisory panel over Trump’s lack of political correctness following the Charlottesville race riot), Doug Birdsall (an honorary chair of the rabidly globalist and pro-Roman Catholic Lausanne Committee for World Evangelization, which you can read about in E.S. William’s book, here), Jenny Yang of World Relief (which signed a public statement condemning President Trump over his enforcement of U.S. immigration law regarding the “Dreamers”) Bishop Claude Alexander (who signed a letter from evangelicals condemning Trump, using the ideology of Critical Race Theory to do so), Mark Labberton of Fuller Seminary (who wrote a book, Still Evangelical?, which is a collection of essays encouraging evangelicals to abandon their title for the sake of not alienating the political left), Jo Anne Lyon of the Wesleyan Church (who is a part of Evangelicals for Social Action, along with other progressives like Rachel Held Evans), and Gabriel Salguero of the National Latino Evangelical Association (who, as you would expect, has written articles in places like the New York Times encouraging evangelicals to go politically left if they desire to coalesce with Hispanic believers). Doing their best to keep the meeting content private, it was by invitation only that the very small and select number of evangelical “thought leaders” were invited. One wonders how, given the leftism of the names given above, some wouldn’t understand that indeed what they were walking into was a Marxist and globalist political rally. Nonetheless, some attendees were taken aback. CBN reports that “at least a few” attendees walked out after the political event turned into “crazy Trump bashing.” Although the organizers billed the event as an attempt to save evangelicalism from politics, the reality is that it was by its very nature political and not religious. Both sources confirm that the issue of sin came up in discussing how evangelicals could vote for Trump. “The conversations were difficult,” according to one source who attended both days of the meeting. “There was a lament.” After that first day, a few people felt so uncomfortable with the rhetoric against Trump they left, forgoing the last day of the conference.